Editor’s note: This story was corrected at 1:15 p.m. Monday, Dec. 3 to accurately reflect elected officials’ current salaries. 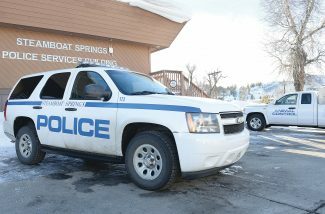 STEAMBOAT SPRINGS — Construction of the new combined law enforcement facility and rising health insurance costs are fueling the proposed 23 percent increase in Routt County spending for 2019. The county is also expecting revenue to increase by 20 percent next year. 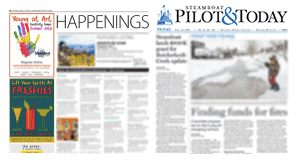 A public hearing on the proposed budget, which totals $75.4 million, is set for 5 p.m. Tuesday, Dec. 4 in the Commissioner’s Hearing Room in the Routt County Courthouse. Adoption of the budget will be considered at 1 p.m. Tuesday, Dec. 11 in the same location. Here’s a breakdown of key elements of the proposed budget. Where: Routt County Commissioner’s Hearing Room, 522 Lincoln Ave.
After 2015 provisions from the state legislature allowed county commissioners to increase pay for county elected officials, several incoming and re-elected county elected officials will see raises as their new terms begin. The legislature also agreed to bump Routt County into a higher salary bracket for elected officials, according to Routt County Finance Director Dan Strnad. A raise from $58,500 to $100,059 for the District 3 commissioner, treasurer, assessor and clerk. A raise from $76,000 to $121,037 for the sheriff. A raise from $33,100 to $61,001 for the coroner. A raise from $3,300 to $6,073 for the county surveyor. While the increases are significant, Strnad explained that these positions have not received an increase in pay since 2007. These raises account for a 2.5 percent per year cost-of-living increase and the higher salary bracket. He said the state’s intent was to attract and retain quality elected officials. “It is a big chunk, but it’s going back to 2007, so that’s not such a large increase,” Strnad said. County staff are budgeted to receive a 3 percent cost-of-living raise and eligible employees will receive an anniversary step. The proposed 2019 budget maintains the same level of full-time equivalent county staff. The county plans to hire an additional human resources technician and information technology position. Two temporary, full-time equivalent positions will be eliminated as the staff members’ work to implement a new financial and payroll software is largely complete. Both the county and county employees will pay 9 percent more for health insurance costs, which equates to a total of $353,000. This number was determined by looking back on 17 years of insurance costs, which forecast a cost increase of 9 percent, Strnad said. 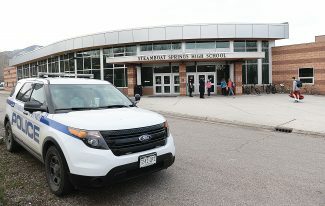 The county will fund the $4 million remaining in its contribution to the construction of the Combined Law Enforcement Facility, a joint project between the city of Steamboat Springs and the county. The county funded its two-year contribution to the project with $900,000 from the sale of land near the detention center to the city, $400,000 from a state grant and $6.2 million from “favorable budget variances,” which accumulate when revenue exceeds the amount anticipated in the budget. The Routt County Communication Center, which houses dispatch for public safety agencies in the county, will also be relocated into the new facility. The state of Colorado will take over operations of the microwave towers that allow dispatchers and public safety staff to communicate. Previously, the county maintained this system. Handing over that responsibility to the state frees up the county’s reserved funds that were held back to maintain the system. This money will be used to pay the $1.1 million required to relocate dispatchers into the new combined facility. Dispatchers are also budgeted to receive two additional mobile dispatch stations. The current mobile communications and command truck relies on radios, Strnad said. The new systems would be able to dispatch anywhere where there’s a decent internet connection. The Yampa Valley Regional Airport could increase its revenues by 79 percent in connection to grant-funded improvements to the airport and its fixed base operator. This revenue increase is contingent on actions from other organizations. The county is anticipating it will receive more than $7.4 million in federal grants to construct an additional terminal and other improvements to airport infrastructure. The airport’s fixed base operator, Atlantic Aviation, is slated to complete $7 million in improvements at the airport, which the county expects to capitalize on. 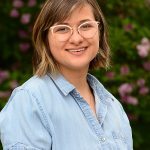 “If those two things take place, those are significant,” Strnad said.